On Google Code I can show my support for an issue by starring it (I prefer not to add a comment saying "me too!"). 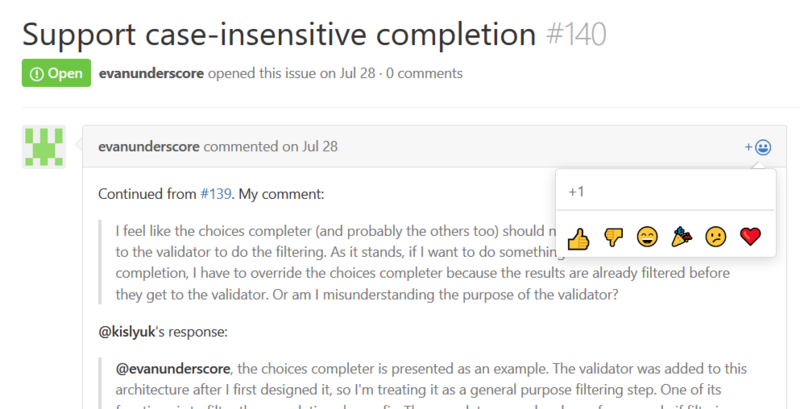 On GitHub I can follow an issue (receive notifications on updates and comments), but it doesn't seem to be visible and counted the same way stars are on Google Code. I would like to visibly show my support for a GitHub issue without leaving a comment. Is this possible? Unfortunately not yet according to GitHub. The best I've found is to +1 and then follow (watch) the issue. Screenshot on how to follow (watch) issues below. You can now add a "+1" reaction to the ticket definition on GitHub. Reactions from multiple users are accumulated. 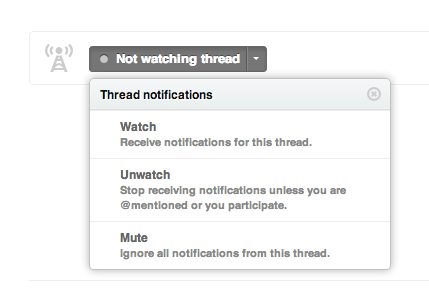 Note that you can add a reaction to any comment in the thread, and on merge requests too. Not the answer you're looking for? Browse other questions tagged github follow or ask your own question. Can I render inline image in GitHub without link? Can I customise my GitHub front page?